A total of 92 players, including 2004-05 girls and 2005-06 boys, participated in a Player Development Program (PDP) event, Aug. 4 at Central Winds Park. 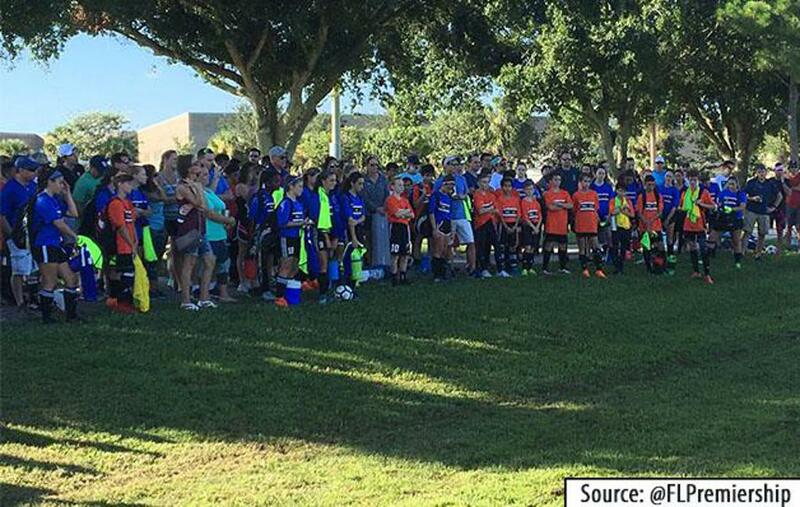 OVIEDO, Fla. (Aug. 14, 2018) - A total of 92 players, including 2004-05 girls and 2005-06 boys, participated in a Player Development Program (PDP) event, Aug. 4 at Central Winds Park. The PDP was hosted by the Florida Premiership, featuring plenty of Florida NPL talent, and Florida Kraze Krush. Hue Menzies, of Florida Kraze Krush, Jamaican WNT and the US Club Soccer Board of Directors, oversaw the event and provided the curriculum. Four boys coaches - Gabe Colon (Florida Rush), Chris Dris (Tampa Bay United), Trent Frederick (Florida Rush) and Akash Lakani (Florida Elite Soccer Academy / Tottenham Hotspur FC) - and four girls coaches - George Fotopoulos (Tampa Bay United), David Gough (Florida Elite Soccer Academy), Mark Hansen (Florida Kraze Krush) and Richard Tacaraya (Florida Rush) - led the players through technical and tactical drills. Top performing players from this PDP will be considered for potential invitations to US Club Soccer's fall id2 Training Camp, Sept. 27-30 in Kansas City, Kan. The Florida Premiership will host another PDP in October, and details are coming soon. PDPs are regionally based identification and development programs conducted within the id2 umbrella. PDPs are focused around the NPL and other top leagues throughout the country. The Florida NPL is an ENPL qualifying league, and as such, its 14-U through 19-U boys compete in their regular season pathway with aspirations of national championships at the ENPL Finals. A National Association member of the U.S. Soccer Federation, US Club Soccer fosters the growth and development of soccer clubs in order to create the best possible development environment for players of all ages. Anchored by Players First and its five pillars of Club Development, Coaching Development, Player Development, Parent Engagement & Education and Player Health & Safety, US Club Soccer offers registration, league- and cup-based competition platforms, player identification and a variety of other programming, resources and services. US Club Soccer is sponsored by Nike and supported by LaLiga through a technical partnership.